Seasoned Software Developer with 5+ years of industry experience in developing full stack solutions, employing the best technologies available. Here are some of the contract web development projects I was fortunate enough to partake in. I have been truly fortunate for all the opportunities thus far, and I'm always looking to take things further. The people I've worked with have always been the best part of every experience! To enrich knowledge, I opted for the most unique learning experiences from around the globe. There's truly nothing that diverse critical thinking cannot accomplish! Some truly wonderful people have had some nice things to say. They've brought greater meaning to this ongoing journey and I am humbled to have worked with each of them! 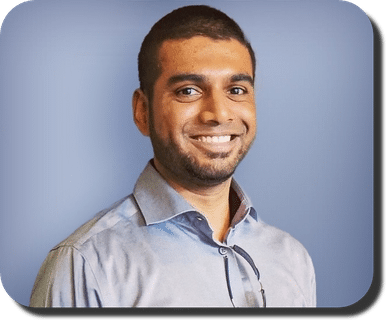 Prasad migrated to our FxOnline team from the ad hoc team, where he was initially working on Ria Device Manager (RDM), a windows application.. 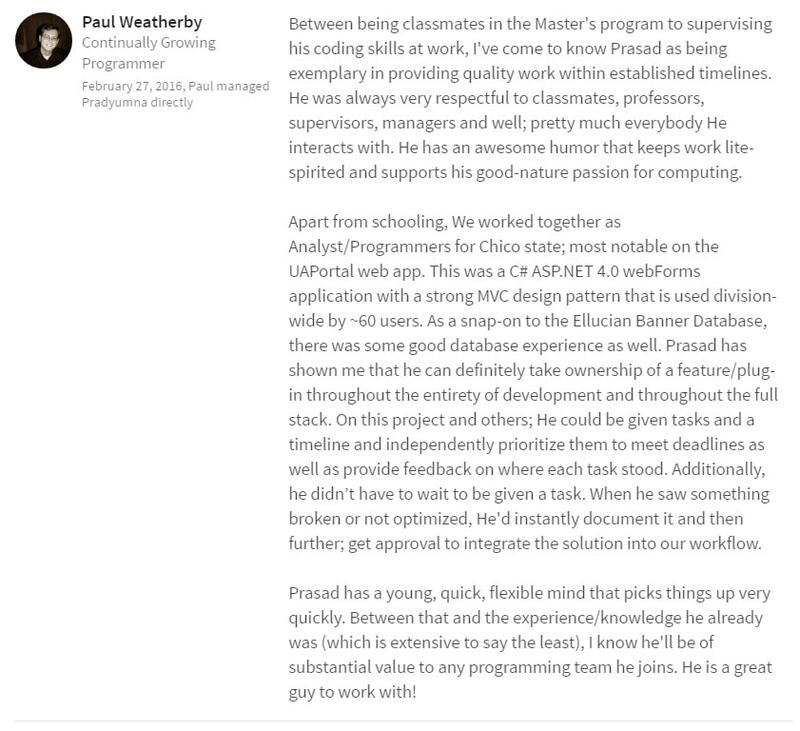 Between being classmates in the Master's program to supervising his coding skills at work, I've come to know Prasad as being exemplary in providing..
Pradyumna and I met in one of our dream countries to work in - as software professionals, a mere 3hrs away from Silicon Valley. We have been.. Please feel free to reach out and drop me a message anytime. I would love to hear from you! 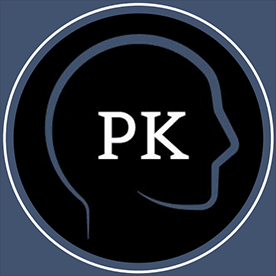 © 2019 PKamat.com | All Rights Reserved.